Providing you the best range of box strapping machine, semi automatic box strapping machine and low table strapping machine with effective & timely delivery. 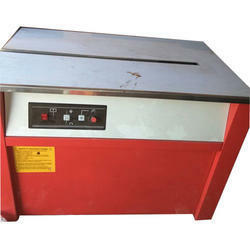 We are leading manufacturer and supplier of Box Strapping Machine. Due to their flawless performance, our offered strapping machine is broadly applicable in various industries. Semi-Automatic Box Strapping Machine is suitable for strapping cartons of various heights no need to wait for the useheater just plug & stausing immediately. The strap self-tightens cuts & seals on the carton automatically & is ready for the next carton. • Simple Operation: the Economically designed control panel for easy operation. Strap at the quick speed and with high efficiency. • Quick Heating: Instant-heating systems, high safety and will be in the best strapping state in 5 seconds after you start the machine. • Variable and Consistent Tension can be easily adjusted from low to high by a simple operation. 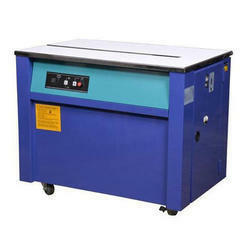 We are offering Low Table Strapping Machine to our clients.